We make eCommerce easy to manage. When it comes to managing your products or services, you want a system that’s easy. You want a system that doesn’t force you use multiple administration processes, causing you to invest all kinds of time, trying to figure out how the system works. 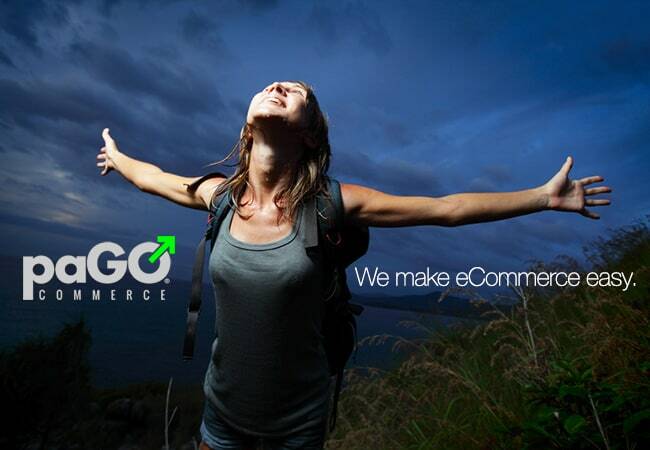 at paGO Commerce, we designed and built our eCommerce solution to be easy. paGO Commerce’s focus is to empower store owners to grow their business, rather than spending time struggling to learn the system itself. Our customers want to just log in and get it. We built paGO with ease of use in mind, because we believe the best systems are the ones that fade to the background, and hardly let you know they’re there. With paGO Commerce, you can focus on the important part for your business: the growth part. The getting things done part. That’s the exciting part for most companies, after all: progress, and growth. If you haven’t given paGO Commerce a trial run yet, give it a try. It’ll knock your socks off, when it comes to how flexible and easy it is to use. To get a glimpse of how easy it is, let’s take a peek under the hood on how to manage your products within paGO Commerce, the all-new eCommerce platform from ‘corePHP’. Guess what? You no longer need to be a rocket scientist to get photo and video management working! Legacy eCommerce carts like VirtueMart have always been the death of average users to use the photo manager. Now, that a thing of the past. paGO Commerce provides the easiest way to manage photos and videos. Easy as drag and drop. When using paGO Commerce for your Joomla based website, we’ve now introduced the ease of drag and drop ordering, which makes it easier, faster and more efficient to move picture ordering. No more double trouble. Just click on upload images, and the interface splits into images or videos, giving you the ability to manage both in one area. No need to have two separate areas. Faster, more streamlined management gets you back to the more important work of growing your business. Less clicks, and less thinking means more power for you! Dial in the image SEO. When using paGO Commerce, your images will now have great SEO automatically assigned to them, making sure all your images have alt tags, built-in, in order to help your website gain higher ranking on Google and other search engines (is there another?). In fact, as a default value, your title is your alt tag. It’s all about saving you time, while enhancing your SEO! Featured Product: Is the product a featured product you can now throw a badge up for that with a click of a button. How fun is that? Give that featured product a start and end date. This is great for marketing. Get your marketing plan in place ahead of time. New Product: What, you added a new product? That’s fantastic! Let your audience know. And how long do you want it to be new? You can put an end date on that badge. Customize the front-end with NO coding! You better get used to not needing to do any CSS coding, because we’ll continue making paGO the most flexible and easy to modify eCommerce cart on the planet. In the product and category area, you have the ability to override the view, and customize it to have a different look and feel. You’ve got the power to make a full category have its own look, if you like, and give your products the attention they deserve! Bend paGO Commerce any way you want! Bend it any way you want, paGO Commerce is the most flexible eCommerce solution! Go to the paGO Commerce Demo, and check out this section for all the options we currently have. We’ll be adding more all the time. Contact the Core Team if you’re looking for more options anywhere in the system; we can customize paGO Commerce to work just the way you want it! 1. First you create your core product. For example, a desk. From a management perspective, this makes updates faster easier. On the front-end it’s better for your customers, because they don’t have to navigate to various pages to view the attributes. Why risk losing your customer by forcing them to click too much? Now, you can get higher conversion and sales than before. Now that’s easy money! Want to run some promotions to push more sales? How about A/B testing on your shipping methods? With paGO Commerce, you can do it. Even FREE shipping! You can apply shipping prices globally, or apply to only certain products that you are running promotions on. You can also pick the shipping method on certain products or lines, as one provider’s shipping prices may vary. With paGO, the choice of what you want to charge is at your control! SEO SEO SEO SEO SEO. Hey just in case you didn’t hear us say it, “SEO!” Search Engine Optimization is so important. It is the vital part of any online shopping cart. paGO Commerce comes with a meta data area to enhance your SEO. Watch for more enhancements and more SEO tools within paGO, to make you an SEO Pro, using paGO! Downloads: That was easy too! Need to include, instructions, manuals or other digital downloads with your product (for example, car parts distributors often require manuals)? No problemmo. Instead of trying to copy those complex sheets in, or trying to get it linked in HTML. Just upload your files into paGO so the system manages those files for you, and gives the end user an easy way to download your digital documents with ease. Related tabs: So dang easy. To increase your suggested sales, you can assign and connect related products with ease. A pre-populated module will appear, displaying upsell options your chose for your customers. 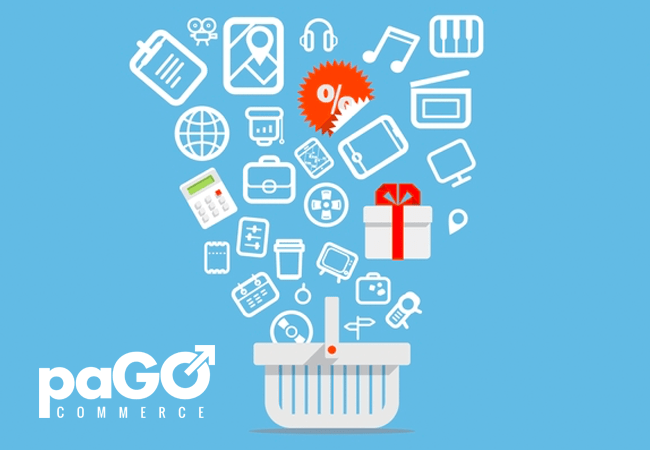 paGO is not just an eCommerce tool; it’s much more! It’s got a marketing and sales assistant built-in, to help you promote your products and services, and sell more, with every click! I’ll be sharing more great materials on how paGO Commerce can and will be the end-all solution for your business needs. Again, if you don’t see a feature in paGO Commerce that your business can’t do without, contact the paGO Commerce sales team, so we can take good care of you, and set your business up for success. You’ll get to work with one of the best development teams and the most powerful eCommerce platform on the planet. Until next time. Go out there with paGO and SELL, SELL, SELL! Isn’t it a relief to find great software like paGO Commerce, that makes it easier to manage your business? This entry was posted in E-Commerce, paGO Commerce and tagged ecommerce, paGO Commerce, Product Management on July 23, 2015 by Michael Pignataro.